Of course, there are a bunch of other important skills we need to teach, like no hitting, be kind, say please & thank you, look both ways before you cross the street, but those are the basics, right? But is there another skill that should be up there and noted just as high as a priority? Is there a skill that we should teach our children as infants? I’m talking about the skill and importance of swimming. Children need to be taught the skill of how to float. Teaching our littles the confidence and skill of knowing how to float, recover, and swim is a life skill that is priceless. Priceless. Water Safety is not something that is just for summer time. Kids can encounter water year round. I mention this because Fall is here and swim lessons may not be on your mind anymore. But, I want them to be. Families take vacations year round right? Your kids’ swimming skills should be on point year round too. Before I had kids, I used to work in the Aquatic field, so finding a well-rounded instructor for our littles was key to me. We had had our kids in group lessons every summer but our kids were not getting much from it. With me being a swimmer and a previous instructor of lessons and lifeguards, this was hard for me to see and even admit here. But I had to put my ego aside, this was my kids’ journey not mine, they will get it with time, Coral picks up stuff typically fast but Gunnar is on the Autism Spectrum so he was really struggling with the sensory issues part. 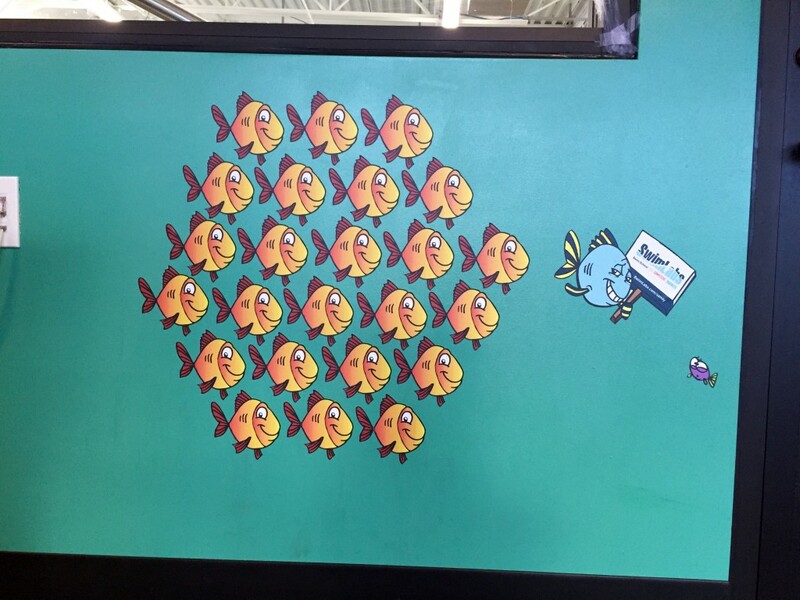 Group lessons were not working with him – they were overwhelming. We had to change things up. And where have my kids have really, really excelled in swimming? 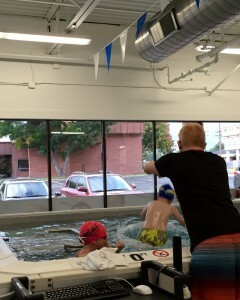 At SwimLabs! 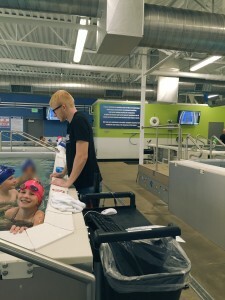 Josh has once again brought his skill in teaching and combining the technology of SwimLabs, our kids have connected the dots of swimming. So, how does SwimLabs work? Magic. No, not really but sometimes we sit there in amazement at how good the instruction is and how cool the technology is. SwimLabs is an indoor facility with four (4) warm pools that have their own controllable current that the swimmer will swim against. 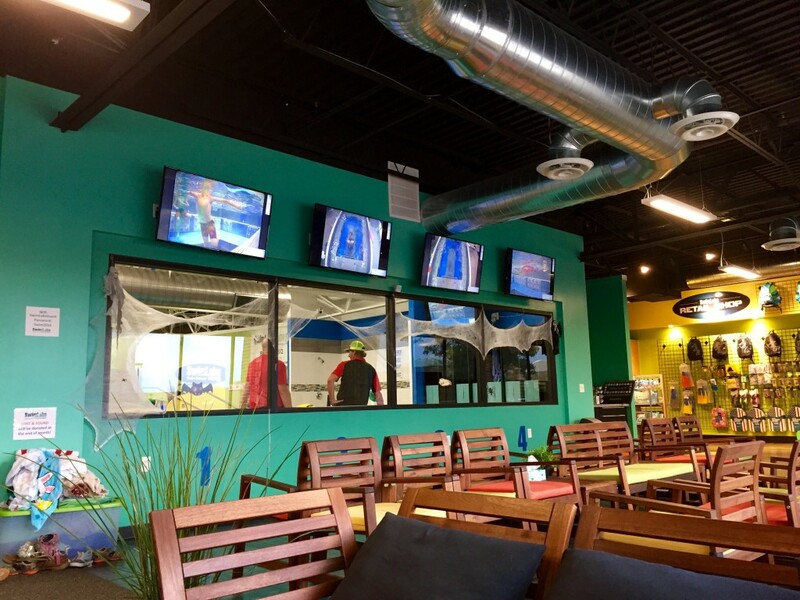 The instructors use digital video technology for instant feedback; our littles are able to see exactly what they did and see how to correct it or go, “YES, I did it!”, when they look up at their own tv screen above each pool and watch their own playback of their swim skill. 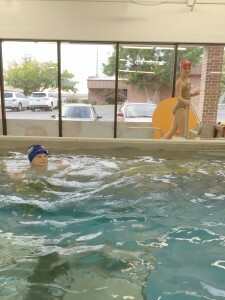 It is unlike any other swim skill method I have seen and our kids are improving immensely! 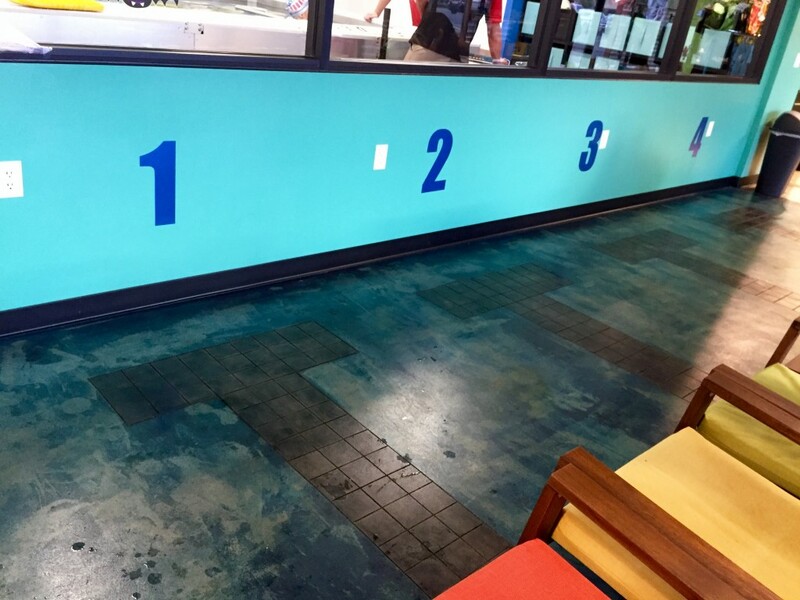 The tiles look like swim lanes! They look forward to seeing Josh and fill him in about what they did this past week. And Josh listens to their stories, you can tell he cares; you can tell Josh is a brother himself. They also are always excited to see Kyle, one of the owners, who almost always, gives them a high five. At the end of nearly every practice, Josh does some sort of fun activity with them – love it! The attention to detail when it comes to swim skill, placing kids in their correct swim level, the small “classes” (4 max), the great instruction, and the incredibly advanced technology where swimmers can see themselves (there’s a mirror at the bottom of the pool too so they can watch their stroke form as-they-swim!) and then watch themselves on the TV screen on replay all serve different learning styles! To round it all out, the sweet staff make for a wonderful experience for our whole family. I highly recommend SwimLabs to everyone. We are set up on their Autopay system. They have swim practice with Josh every week until who knows when. We vacation to places that have pools and oceans quite a bit and we always want them to be confident in their skills and continuously improving. 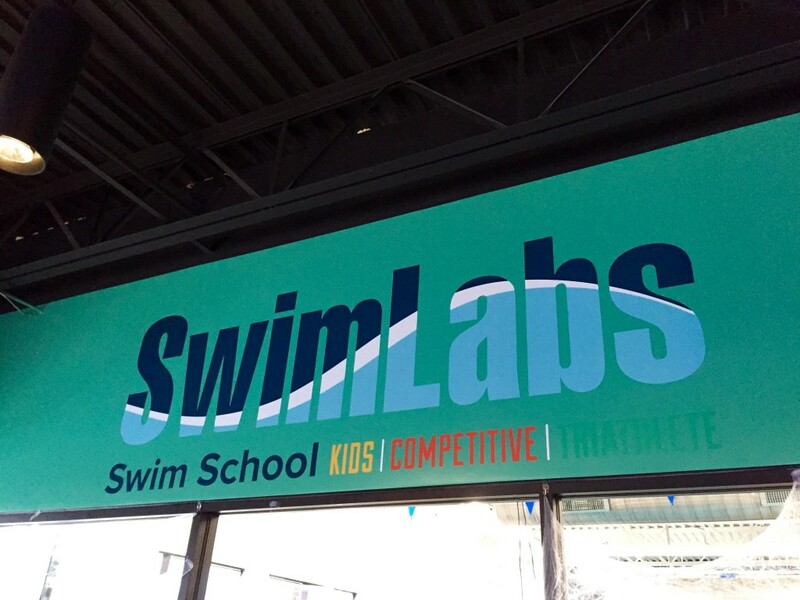 If you’re local to us here in Utah and want to try SwimLabs in Sandy, give them a call! I was not asked to write this post by SwimLabs. 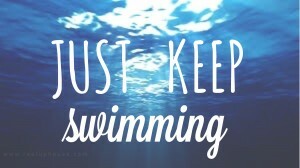 Swimming is dear to my heart. SwimLabs is a great facility with a fabulous staff. These are my opinions. 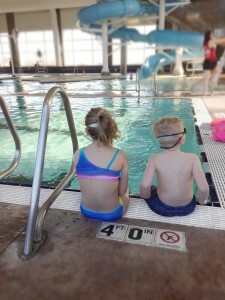 My children started swim class at the ages of 1 & 3. This is a life saving skill that is very important.